Going Overboard is a steamy friends-to-more romance that takes you back to NAS Adams and introduces you to second-class petty officer Dalton Taylor, a confident, young sailor who finds himself on the cusp of losing his career, his life, and the one he adores, as well as fellow second-class petty officer Chris Ingram who may finally have to risk it all to have the one he secretly yearns. The writing is lighthearted and provocative. The characters are devoted, driven, and supportive. And the plot, from start to finish, is filled to the brim with life, love, friendship, family, longing, angst, drama, military politics and tantalizing romance. 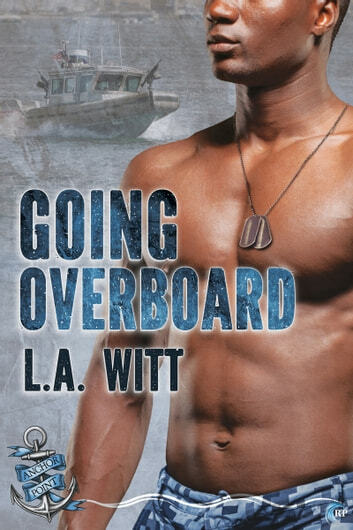 Going Overboard is the fifth novel in the Anchor Point series and is certainly another spicy, entertaining, enjoyable military romance by Witt that highlights her exceptional knowledge into the pressures, challenges, and expectations of Navy life.